The Connecticut Department of Transportation is announcing the continuation of Project 102-356 in the City of Norwalk. Vehicular and pedestrian traffic will not be permitted on the West Rocks Road, Bridge No. 00722 over Route 15 beginning June 15, 2018. 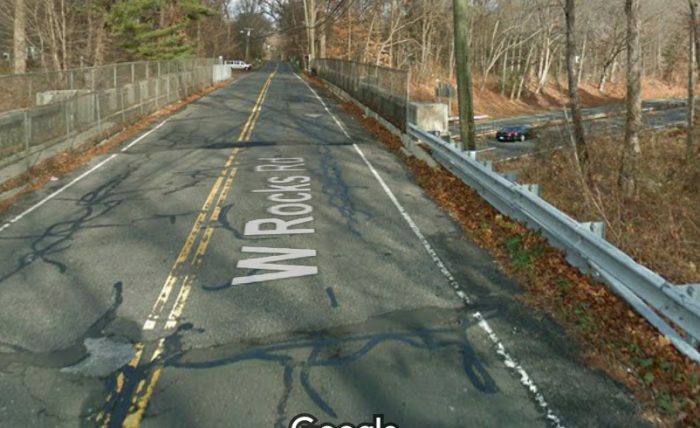 Project 102-356 is for the rehabilitation of the West Rocks Road Bridge over the Merritt Parkway. Work includes demolition and replacement of the existing bridge superstructure. The contractor will be engaging in preemptive work on the bridge beginning with the removal of chain link fence, installation of temporary precast concrete barrier and then the removal of the existing bridge parapets. The bridge will be closed from June 15, to August 27, 2018, for the demolition and replacement of the existing bridge superstructure. A traffic detour will be in place for the West Rocks Road Bridge closure. For the north side of the bridge, traffic will be detoured directly to Main Avenue. For the south side of the bridge, traffic will be detoured via Linden Street to Main Avenue. DOT Project No. 0102-0356 was awarded to New England Road, Incorporated at a cost of $4,117,827.00 on December 29, 2017 and was scheduled to be completed by May 13, 2019.